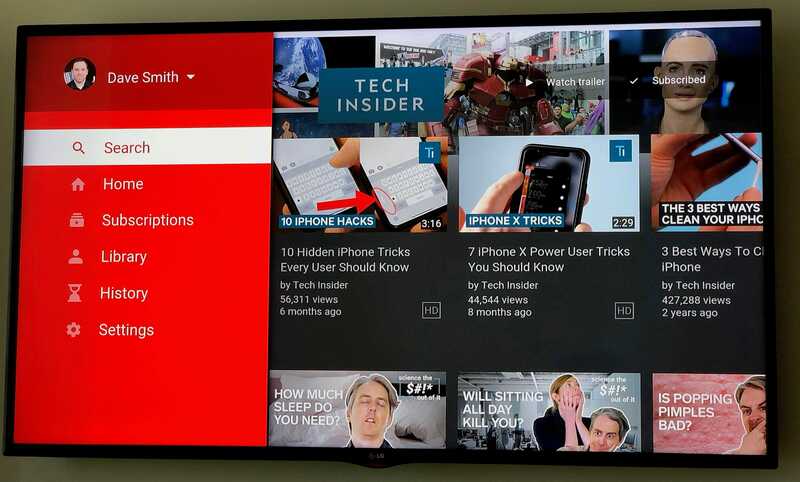 YouTube completely redesigned its app for the Apple TV earlier this year. 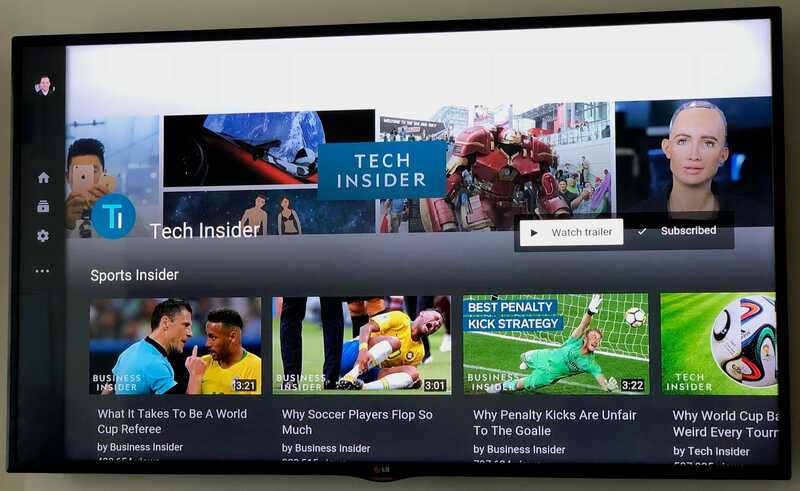 YouTube’s Apple TV app was updated to be more in line with Google’s design language – called “Material Design” – which has been in place since 2014. Most Android apps, including all of Google’s key apps like Docs, Drive, and Sheets, have Material Design applied, and in February of this year, it finally hit the YouTube app on Apple TV. Unfortunately, the resulting experience is a muddled mess. 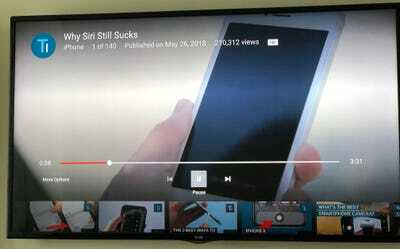 The YouTube app completely ignores the Apple TV’s navigational tools. 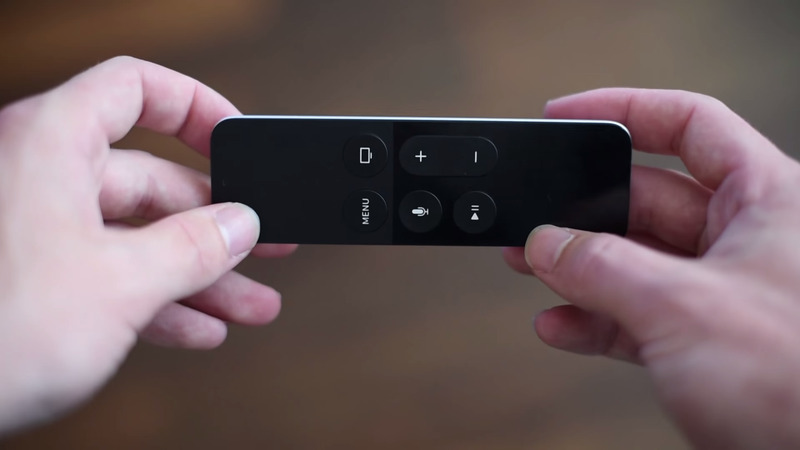 For better or for worse, Apple’s remote control for the Apple TV – the Siri remote – was designed with inertia in mind. It has a small touchpad that works like an iPhone touchscreen; the harder or faster your swipe it, the faster you’ll navigate on on the screen. Unfortunately, the YouTube app chooses to ignore this whole concept of inertia, instead treating the remote control’s touchpad like a normal directional pad, like one you’d find on a video game controller. As a result, swiping feels inconsistent at best, and at worst unresponsive. You’ll swipe left or right to rewind or fast-forward, but all too often you’ll skip over your intended target over and over and over again. The YouTube app also doesn’t support voice control, which is one of the Apple TV’s most useful features, so you’re forced to rely on the remote’s touchpad. Not everyone likes the touchpad on the Apple TV remote; I personally find it too slick and inconsistent. That’s why I prefer to use the Siri button on the remote to control the Apple TV with my voice. I can say “fast forward five minutes” or “rewind 30 seconds,” or even “what did (s)he just say?” The last one will rewind your content and activate closed captions for about 15 seconds. It all works like a charm. Unfortunately, the YouTube app for Apple TV doesn’t support voice control. That means you’re forced to use the touchpad to do just about anything, including rewinding or fast-forwarding. By ignoring Apple’s video player API for the Apple TV, controlling the YouTube app is more painful and tedious than it needs to be. 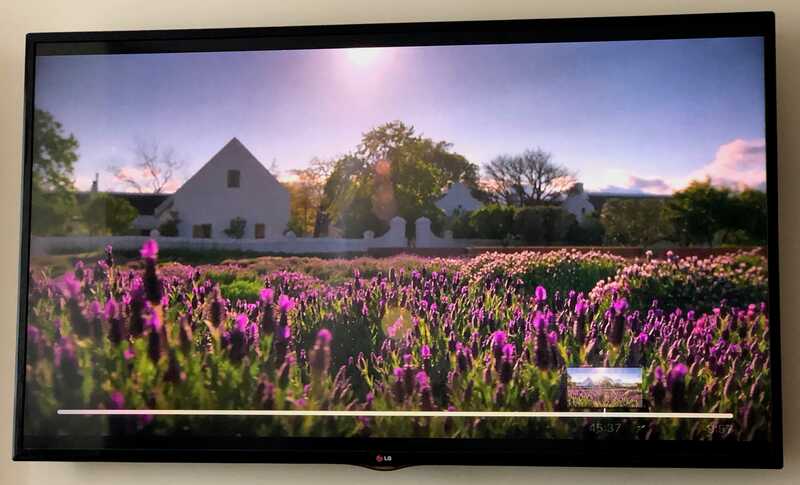 Apple’s video player API for the Apple TV, which Netflix uses for its own Apple TV app, is great for controlling playback. Just tap the Apple TV remote’s touchpad to see the video timeline, swipe left or right to rewind or fast-forward – it has inertial scrolling, like an iPhone, so your movements are pretty precise – and click to play. Alternatively, you can also use your voice to control playback. Both options work well. 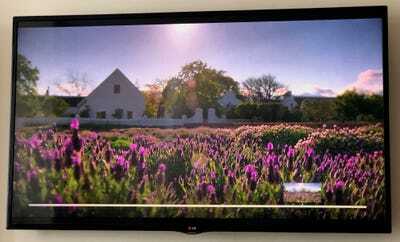 YouTube’s UI might work fine on other devices like the PlayStation 4, where the DualShock 4’s directional pad can better navigate the interface, but it’s not a good system on the Apple TV, and inferior to Apple’s built-in player, which only takes 1-3 steps to do just about anything. 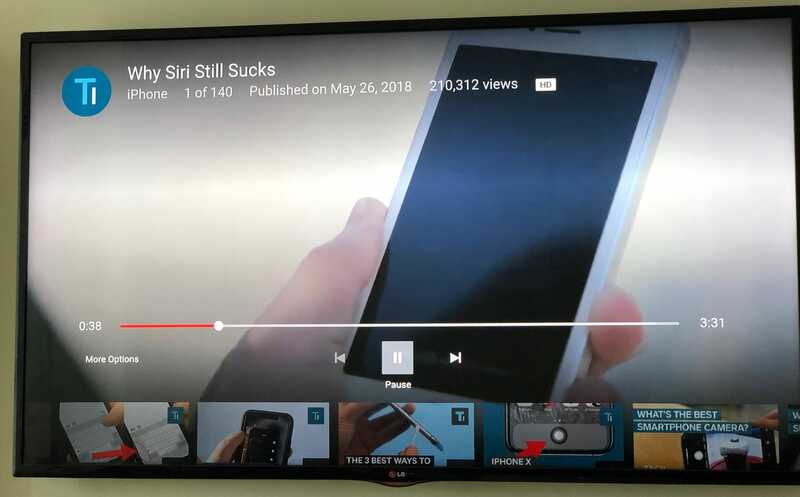 The YouTube app for the Apple TV needs work. But the simplest and most profound change YouTube could make would be embracing Apple’s video and navigational tools. Google, like many tech companies, has a habit of imposing its design language wherever it goes. Amazon does this, too, which is why its Prime Video app also looks and behaves the same on the Apple TV as it does on the PlayStation 4 and elsewhere. Often times, having the same design language across multiple platforms is a good user experience. If you know how to use an app on just one device, you’ll know how to use it on anywhere. The problem is, not all devices are built the same. Some computers, like iPhones and Android phones, rely on touch controls; other computers, like PCs, rely on keyboard and mouse inputs; other computers, like streaming devices, rely on voice controls for the best experience. When it comes to the YouTube app on Apple TV, it’s about time Google and YouTube embraced the Apple TV for what it is: an atypical streaming device with some nifty features that make life easier for users, like inertial scrolling and voice control. Google and YouTube employ some of the best software engineers in the world, and they have done an excellent job at making Material Design consistent; now it just needs to be flexible.